Thirsty Thursdays: Enjoying my unusual “Pizza Beer” this week in Hong Kong! Mamma Mia! Pizza Beer – the drink of choice for today’s Thirsty Thursday! First off what exactly is Pizza Beer? 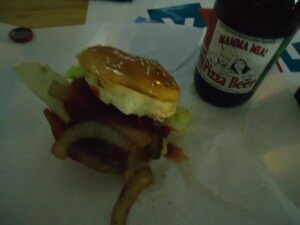 It is a beer that has a taste of pizza in it! Yes as you sip this fine drink, you can taste the pizza with every gulp! During the brewing process, oregano, garlic, basil and tomato are added to the beer! 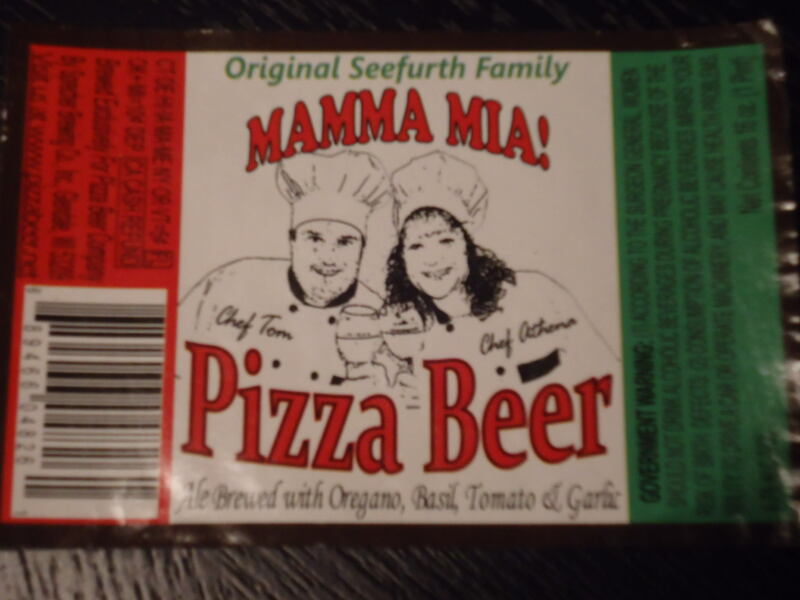 The name of the beer is Mamma Mia Pizza Beer! And while you may well have heard of it and tried it, this week was the first time I had it. I love pizza and I love beer so it should be the perfect mix, right? Ever tried Pizza Beer? An odd one on today’s Thirsty Thursdays! Did I like Pizza Beer? Well kind of – I loved the taste of it and it was a great drink, but unusually 2 bottles of it was enough and I went on to something else. So while I really enjoyed sampling it and trying it, it won’t become my regular beer of choice any time soon. What do you have with Pizza Beer? Well I had a cheeseburger! But did you know you can even add Tabasco sauce and parmesan cheese to sprinkle into your pizza beer?! For added taste! Bizarre but totally true. What a quirky yet weird experience! A pizza beer and a cheeseburger was what I went for though adding parmesan cheese and tabasco sauce to the top of your pizza beer is an alternative! 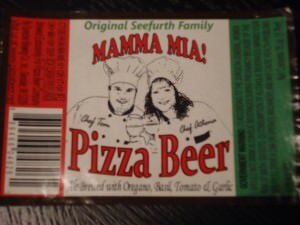 Where is Mamma Mia Pizza Beer made? It is made by Sprecher Brewing Company in Glendale, Wisconsin, U.S.A. and they even have a website for this drink alone! 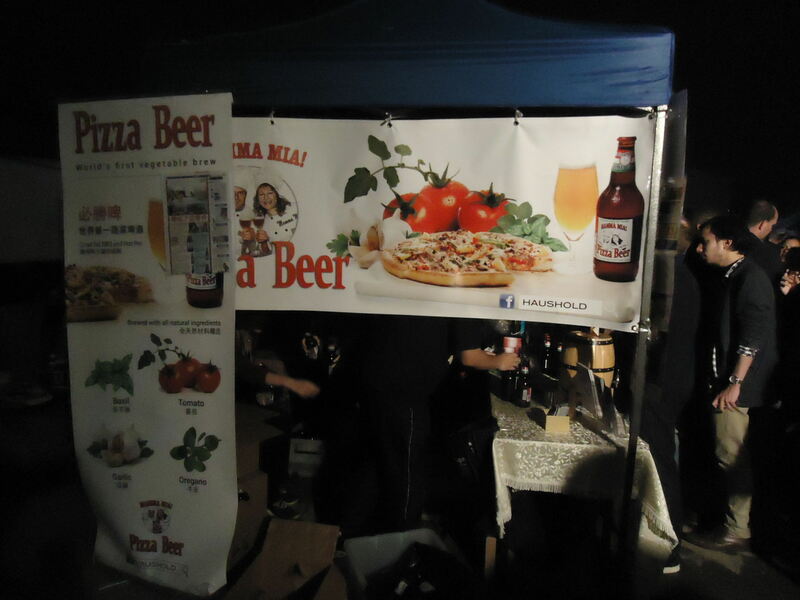 Pizza Beer. Where can you buy Pizza Beer? You can e-mail the company and ask them of course, but I found out that a total of TWELVE bars in Hong Kong alone are stocking it, so it might have spread further than you think. Have a look around for it and you will be surprised where it crops up. I’ve tried over 2,000 different types of beers on my travels yet this week was the first time I seen Pizza Beer! 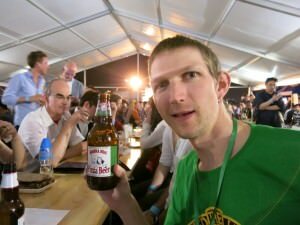 This entry was posted in Asia, Beer, Daily Features, Hong Kong, Thirsty Thursdays. Bookmark the permalink.